Finch & Canary Resting Season Seed Blend - designed for the resting season of finches, canaries and budgies. 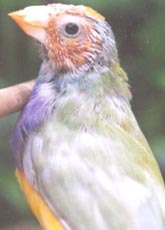 High calorie and high energy seeds during the resting season will not only upset the yearly cycle, but could also result in obese birds. The resting season blend has all the required nutrition available from a dry seed mix that our bird need while resting. Crude Protein 12.5%, Crude Fat 4.0%, Crude Fiber 7.0%. Finch & Canary Breeding & Molting Seed Blend - formulated for the nutritional requirements for the Breeding & Molting Seasons. These seeds have been carefully selected to provide the widest range of micronutrients and trace elements, specifically for the breeding and molting seasons of finches and canaries. Protein 15%, Crude Fat 6%, Fiber 9%. Finch & Canary Tonic Seed Blend: Breeding, Molting & Weaning - designed for you to add the energy seeds your birds need for a successful breeding, molting & weaning season. Tonic seeds are soft oily seeds that are more easily eaten by youngsters. They help teach the young to break open hard seed. 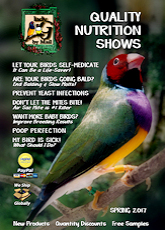 Parakeet Seed � helps maintain your parakeet�s healthy weight. Designed for the resting season of Parakeets. 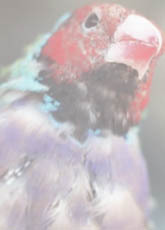 High calorie and high energy seeds during the resting season will not only upset the yearly cycle, but could also result in obese birds. The resting season blend has all the required nutrition available from a dry seed mix that our birds need while resting. This diet includes canary grass seed, white proso millet and japanese millet. Crude Protein 12.5%, Crude Fat 4.0%, Crude Fiber 7.0%. Sprout Seed Blend - help balance their diet by adding a nutritious supply of vitamins, minerals, enzymes, chlorophyll and protein. Spray Millet - California Premium Spray Millet® is handpicked, air-dried, extra plump, golden sprigs provides a healthy, nutritious, pleasantly sweet smelling product to support your bird's good health. 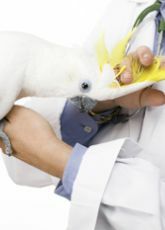 Ask for your bird's FREE Sample! NEW! Perle Morbide - An alternative to sprouted seeds, Perle Morbide eliminates germination risks such as Salmonella, Listeria, and E. coli. Pinny Treat Sticks - New Foraging Treats! Pinny Treat Sticks- Birds pick the seeds as if they were in the wild! Treat Sticks combine only the highest quality seeds, grains, vitamins, fruit, vegetables, eggs and honey. 4 Great flavors!